Now in a paperback boxed set, the Pulitzer Prize-winning graphic novel acclaimed as “the most affecting and successful narrative ever done about the Holocaust” (Wall Street Journal) and “the first masterpiece in comic book history” (The New Yorker). 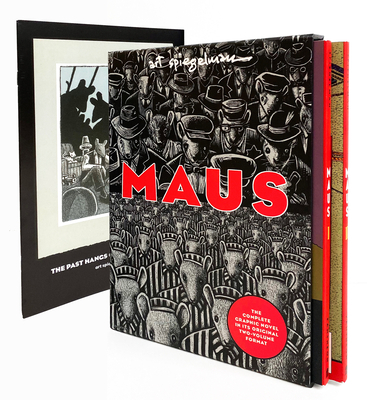 Art Spiegelman is a contributing editor and artist for The New Yorker, and a co-founder/editor of Raw, the acclaimed magazine of avant-garde comics and graphics. His drawings and prints have been exhibited in museums and galleries here and abroad. Honors he has received for Maus include the Pulitzer Prize, a Guggenheim fellowship, and nominations for the National Book Critics Circle Award. He lives in New York City with his wife, Françoise Mouly, and their two children, Nadja and Dashiell.